In Turmalin (dark green) with beige fabric interior. The BMW was supplied by L&C of Tunbridge Wells on 1st of January 1978. It was £6325.59 according to the Sales Invoice which included a Blaupunkt Hamburg radio. The first owner kept the car until 2008 and continued to have it maintained by BMW up until 2003 at 25,026 miles. The mileage is now 25,755. A 2.0 litre, six cylinder engine is fitted which is mated to a four speed manual gearbox. The BMW comes with power steering. 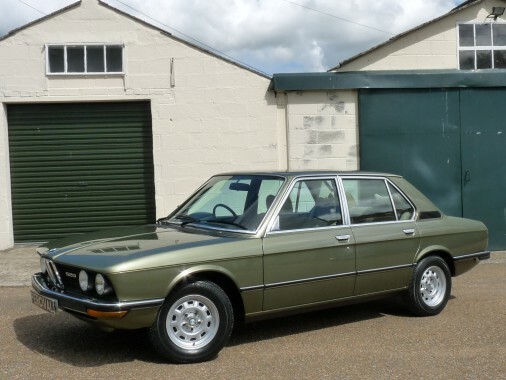 The 520 is in superb order with its very low mileage, and has that lovely solid feel of BMWs of old.